Caribbean Cream outlet in Kingston. 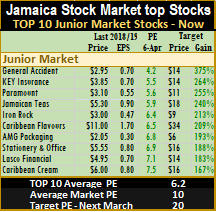 Caribbean Cream jumped into the Junior Market TOP 10 replacing tTech that reentered last week but enjoyed a bounce in price to be edged out for this week. There was no new entrant to the main market list, even as that market recorded three days of record close during the shortened week. Market activity in the main market is pointing to a big break out for stock prices while the Junior Market is flexing to rise having hit a one year low in early December last year. The most notable change was the $250 fall in the price of Palace Amusement down to $750 from $1,000 last week even as the big money making movie Black Panther continues to draw large crowds after nearly two months of showing and seems set to ensure that revenues and profit for the year to June is the highest by far in the company’s history. 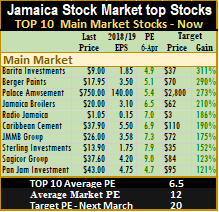 Berger Paints made gains and Barita Investments slipped in price and swapped the top two positions by the end of the week. 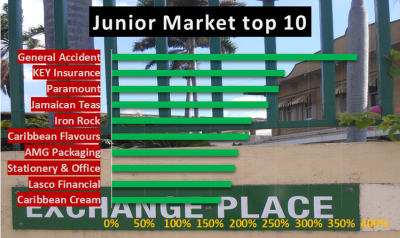 In the Junior Market, Jamaican Teas moved up to $5.30 from $4.75 at the end of the prior week but still sits in at number 4 on the list. 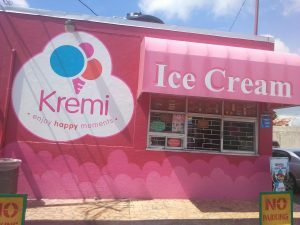 Caribbean Cream recorded strong revenues gain in the year to February but enjoyed lower profit up to November as input cost rose negated the revenues rise. A major part of the input cost well sharply in price since peaking in 2017 and should help restore gross profit margin going forward. 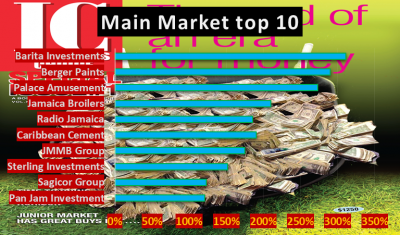 This is one to be watched going forward along with Radio Jamaica where reports are that advertising picked up nicely for the March quarter, from a slow December quarter and may be pointing to improvement for 2018 onwards, with increasing economic activity taking place, leading to increased sales and profits for many of the advertisers. At the close of Friday, the average PE ratio for Junior Market Top stocks ended at 6.2 compared to an average PE for the overall main market is 10 based on 2018 estimated earnings. The main market PE is 6.5 for the top stocks compared to a market average of 12. IC Insider.com’s TOP 10 stocks now trade at an average discount of 38 percent to the average for the Junior Market Top stocks but it’s a third of what the average PE for the year is likely to be of 20 times earnings and main market stocks traded at a discount of 47 percent to the market.